First in the Morgan & Herrigton Series. 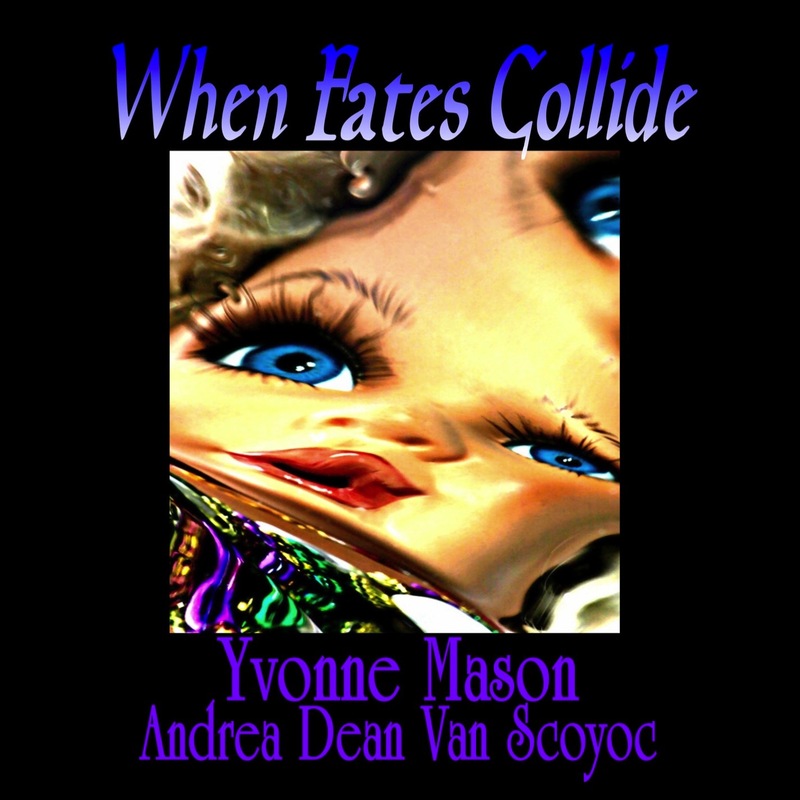 ﻿ Beginning with When Fates Collide and followed by Mardi Gras Bound, the writing teamof Yvonne Mason and Andrea Dean Van Scoyoc partnered to form the Morgan and Herrington Series. The series revolves around a cynical, sarcastic female Bounty Hunter named Alex Morgan, and Hope Harrington a downtrodden, mousey secretary who meet when Alex mistakes Hope as the “jumper” she’s in hot pursuit of and slaps the cuffs on. After this zany encounter, the two collude with the result being one of the most tongue-in-cheek and hilarious mysteries written. The collaboration of Yvonne and Andrea is just as unlikely. While they are kindred spirits they reside on opposite coasts in Florida. Consequently they’ve chosen to write from the first person perspective, allowing each to lend their unique personality to the characters.